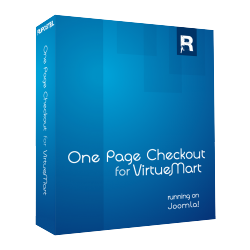 all the checkout steps are at one page right under the basket at the cart page of virtuemart or at the component page. No need to create any template positions. 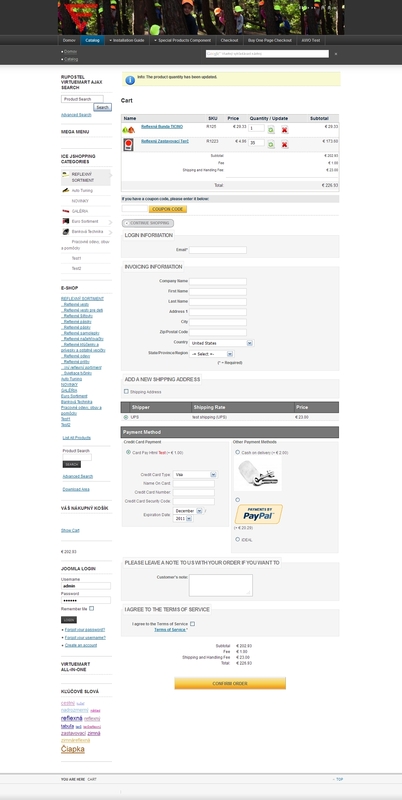 One Page Checkout supports inline credit card payments: Authorize.net, PayPal Pro, UK Payment Mehotds, CardPay and ALL default VM methods. 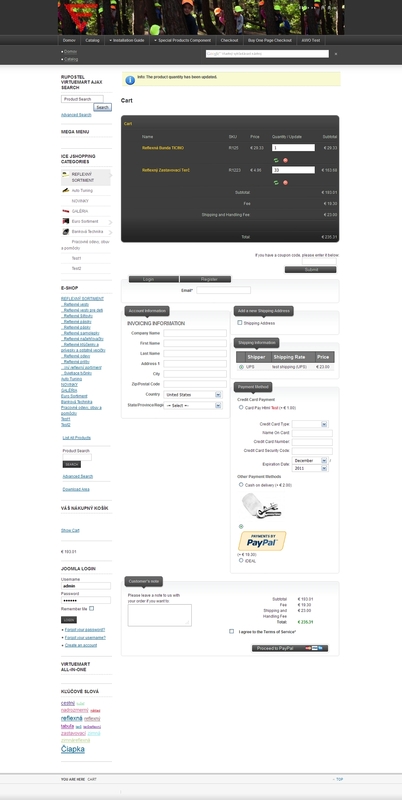 WE PROVIDE FREE ONE PAGE CHECKOUT SUPPORT if you find a problem with a payment processor or shipping processor. 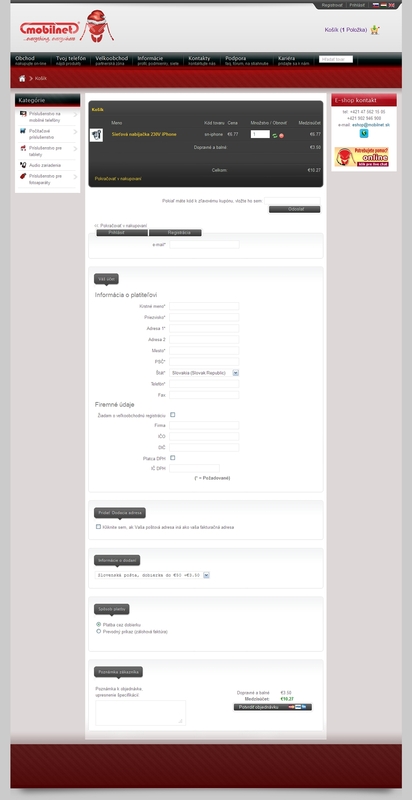 OnePage Checkout for VM1 has own system for invoice generation and postal cheques from MS Excell templates to pdf with data of the order with a nice order management. 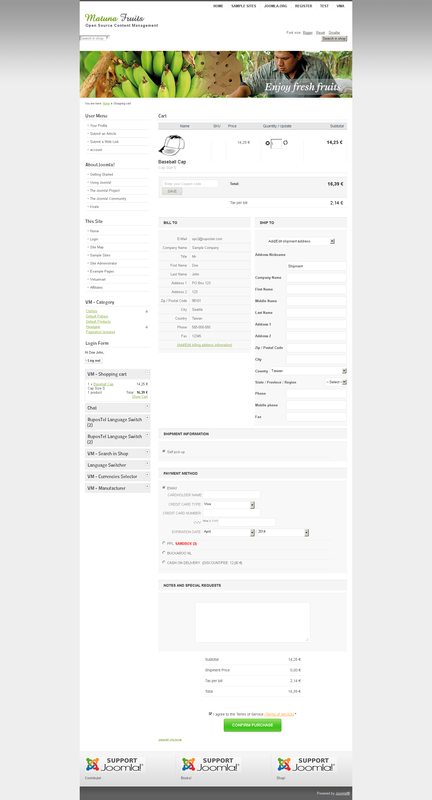 One Page Checkout for VM1 has own order management system where you can update user data instantly without page refresh with AJAX from backend. Please update this version is not working with PHP7 and the latest Joomla en Virtuemart releases. Hi, we emailed to our supporter. if he sent us, we will upload it.